Ronimo Games announced today the 1.13 patch which brings with it a ton of balance tweaks for Awesomenauts! Also the bane of Minecraft players everywhere, the Creeper, made his way into Awesomenauts! The Creeper is famous for terrorizing everyones' beautiful blocky castles, villas, starships and pixel art of Minecraft, especially whenever you least expect it. And now you'll have to watch your back in Awesomenauts as well! 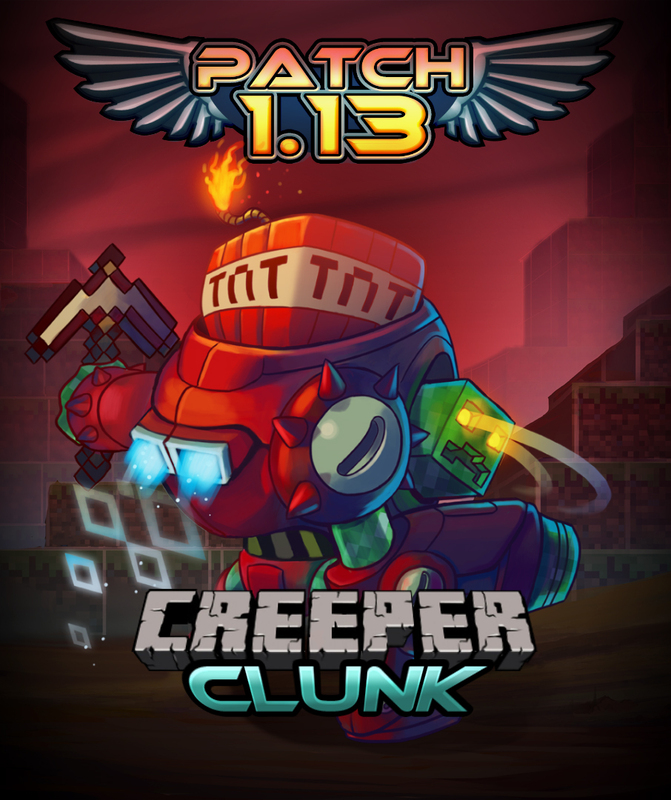 Fittingly, he's a skin for Awesomenauts' own exploding horror: Clunk. But Creeper Clunk won't be a skin you can just buy. The only way to grab the skin is to defeat another Creeper Clunk. The development team will be online with creeper clunks in the coming days, so bring it on!